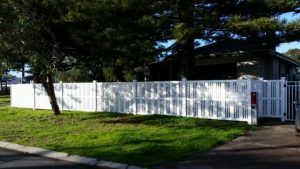 Not every fence company in Scarborough or in the surrounding areas offers professional fencing services that are dependable and can cater to the needs of commercial and residential property owners. At Team Work Fencing Contractors, we have the experience, the manpower and the resources to perform high-quality fence installations, repairs and maintenance. Our experienced fence builders in Scarborough specialise in chain mesh fencing, palisade security fencing, Garrison fencing and pool fencing, servicing businesses across multiple industries in Scarborough and all throughout Western Australia. For home and business owners interested in adding privacy and sprucing up the security and aesthetics of their properties, Team Work Fencing Contractors in Scarborough, WA also offers speedy, hassle-free installations of COLORBOND® steel fencing, HardieFence™ fences, PVC fencing, wooden fencing, aluminium fencing and much more. In fact, in most cases, we can design a custom fencing solution tailored to your exact specifications. Need ongoing maintenance or fence repair in Scarborough? Call Team Work Fencing. Depending on the scope and nature of the project, we’ll even come out to your home or business property and provide a free, no-obligation quote. Customer satisfaction is always our top priority. Did we mention that all TWF fencing services in Scarborough is performed using sustainable materials while adhering to eco-friendly practices? If you have a fencing project that you need done quickly and professionally, then give us a call. You can reach our knowledgeable fencing experts at 08 9795 3447 during office hours. Alternatively, you contact us here or request a quote through our website to learn more about us and our fencing services.